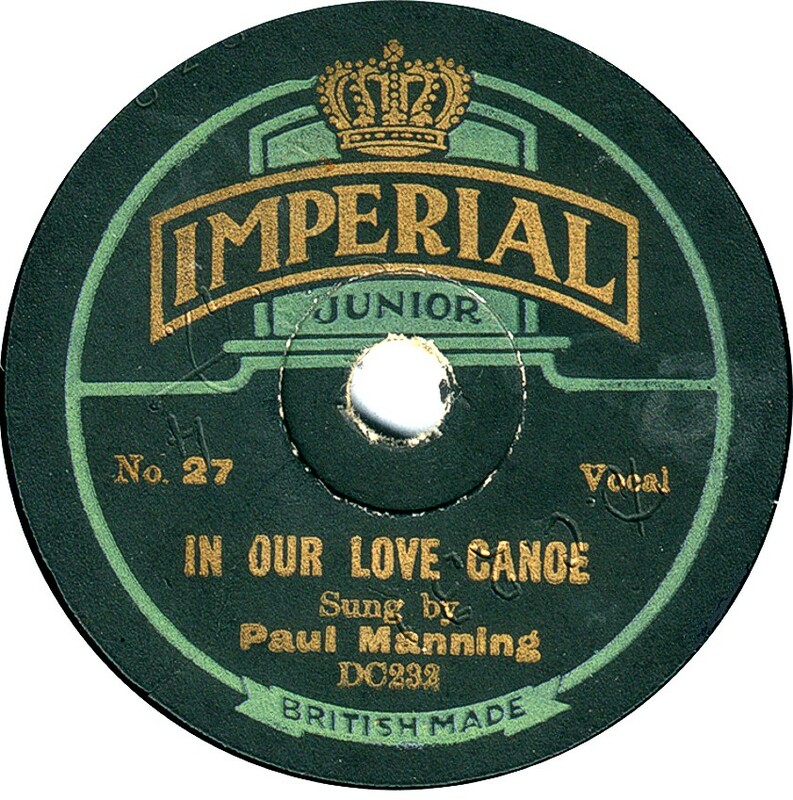 British 78rpm record labels whose name begins with I. Using the letter links below you can see pages for other letters. Ideal There were at least two labels of this name dating from pre-1920 (not to be confused with "Scala Ideal" records from the 1920s), though it is possible that one was announced but never produced. 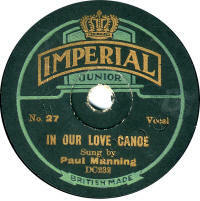 Any information and especially label scans would be gratefully received. Firstly "Ideal Record" is thought to be earlier. Frank Andrews describes it as a red label with black printing. The design shows an Imperial crown, with a Griffin rampant holding a disc record and the inscription "Ebnolois for smoothness, Strength and Flexibility". Frank describes it as a laminated pressing. 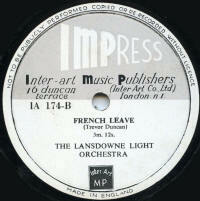 The second one was recorded by The Sound Recording Company, and the examples Frank saw dated from about 1920, and were pressed by Crystalate. 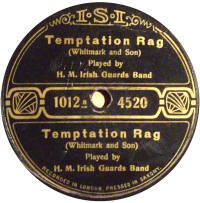 Frank knew of three discs, one of which was found in the USA. ILCO A very colourful pre-WWI record, ILCO discs were pressed in Germany for I. Lange & Co. of Berlin using Bel-Canto masters and catalogued in a 5000 series. Lange went into liquidation in April 1912, so this was a very short-lived label, probably available for just a few months in early 1912. 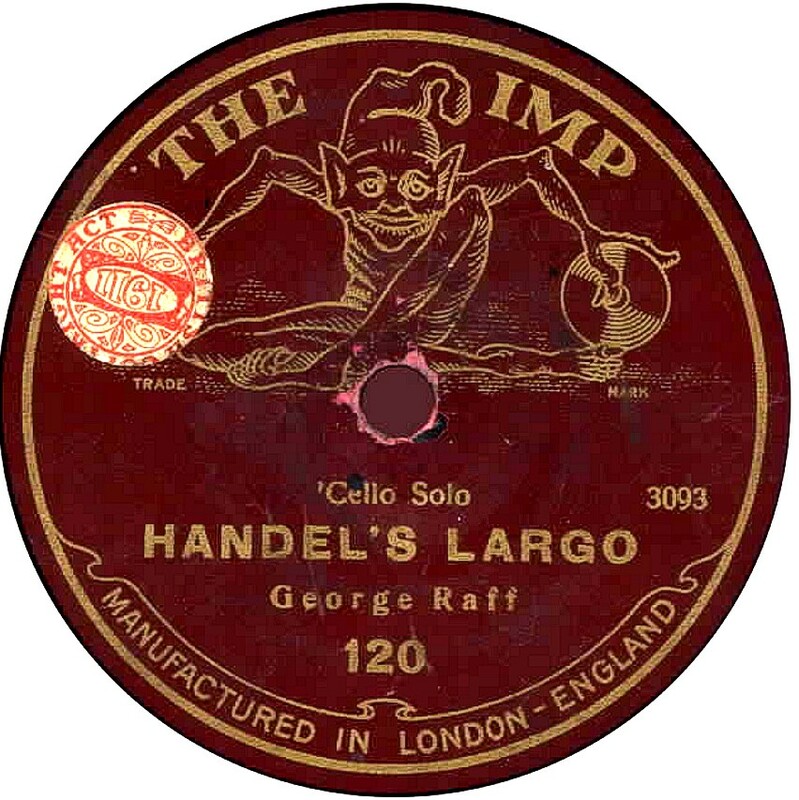 Although the label looks to be JLCO, the first letter is in fact an "I" with a "tag " at the bottom, hence ILCO (I. Lange Co.). 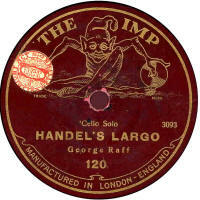 Imhof Alfred Imhof Ltd, of Oxford Street, London WC1 advertised in "The Gramophone" magazine in the 1930s that they were selling Continental classical recordings, with no mention of the record label, but the records listed have I.M.- prefixed catalogue numbers, which implies their own series, possibly their own label. If anyone can enlighten me, I would be very grateful. Imp An Edison Bell label, probably dating from WWI, though no examples have been seen by me. There is a theory they were made for export to the USA. Any examples, or information would be vey useful. 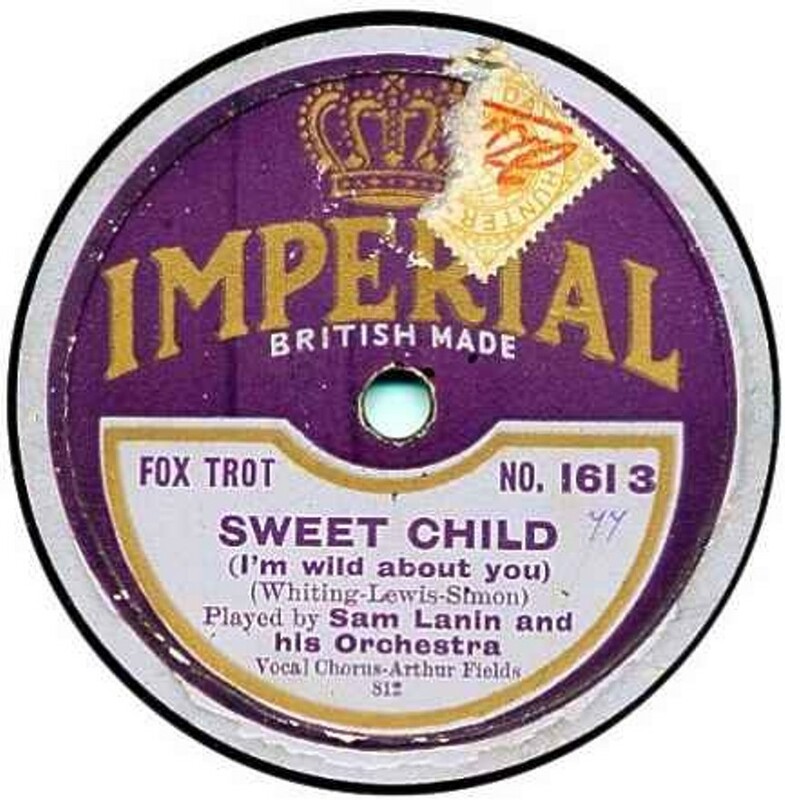 Imperial 3½" Imperial records were produced in England by the Crystalate Gramophone Company from 1922 until 1934. The catalogue numbers started at 1000 and ran up until 2953, but, uniquely, the numbers went backwards from 1000 for earlier masters being re-issued. American matrices from the Plaza Group (aka Banner) and later from Crown were issued copiously throughout the whole period. 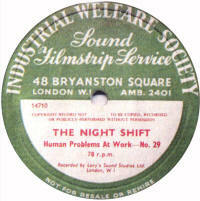 There were also a number of 3½" promotional discs. Imperial Junior Imperial Junior records were 7" in size, produced by Crystalate in the mid-1920s for export to Australia. 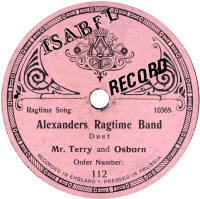 All recordings were English and acoustically recorded. Catalogue numbers ran from 1 to about 100. 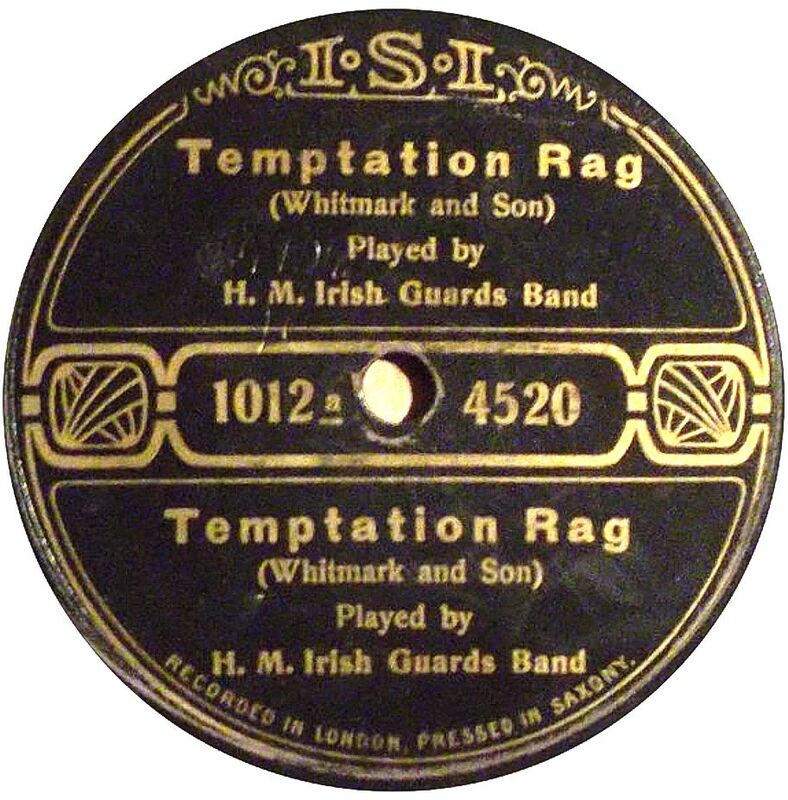 Impress Impress records belogued to Inter-Art Music Publishers on 16, Duncan Terrace, London N.1, susequently moving to 33 Crawford Street, London N.1. 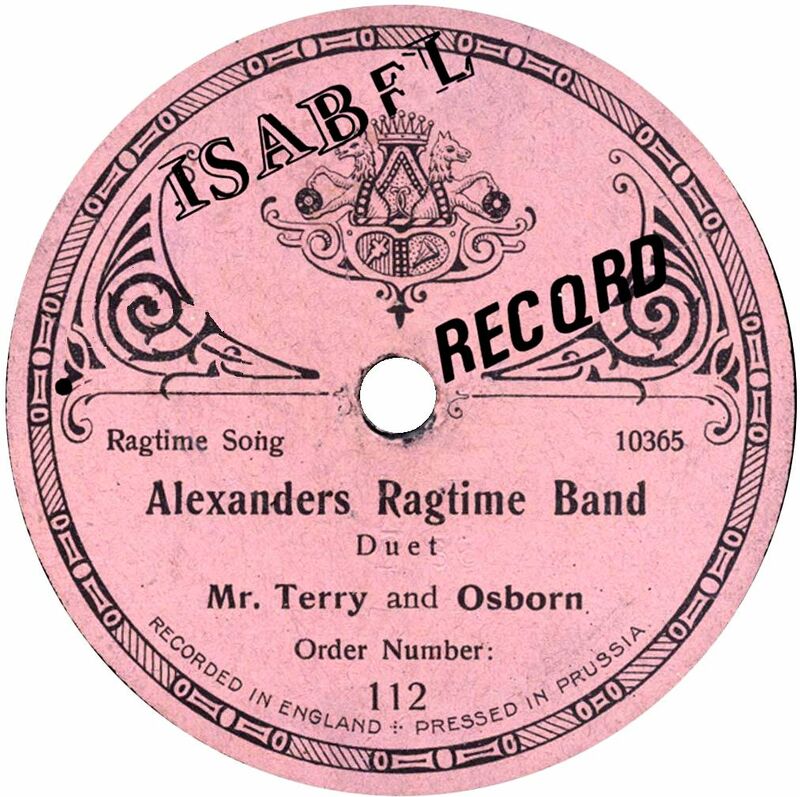 The records contained recording of their own copyrighted music and were all 10" vinyl pressings, and dated fron about 1955 to 1964, during which time over 370 different records were issued. 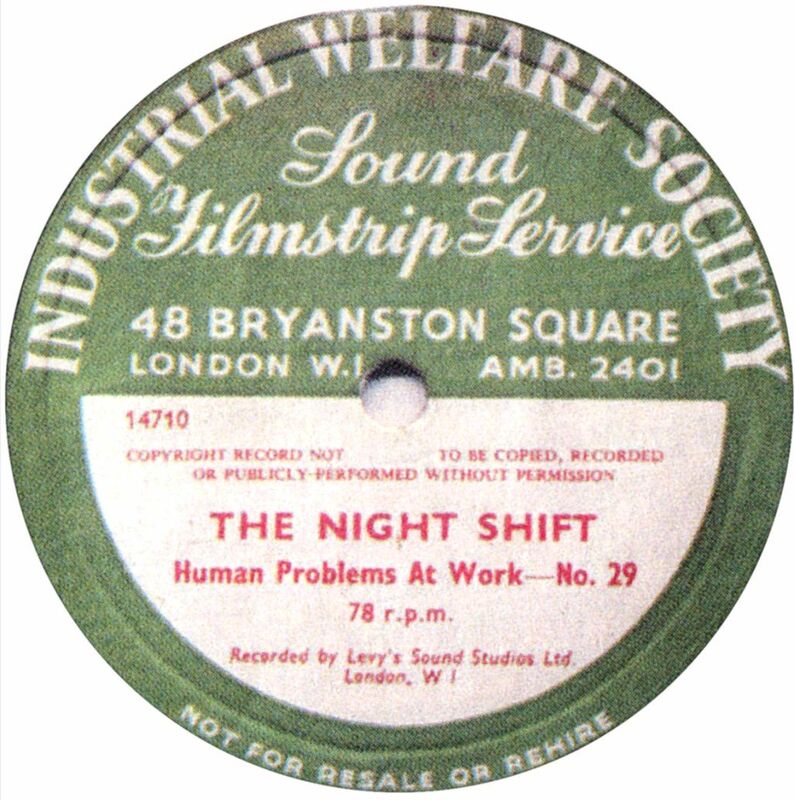 Industrial Welfare Society This society, founded in 1920, started issuing its own records in the late 1940s. The records were 12" in size. 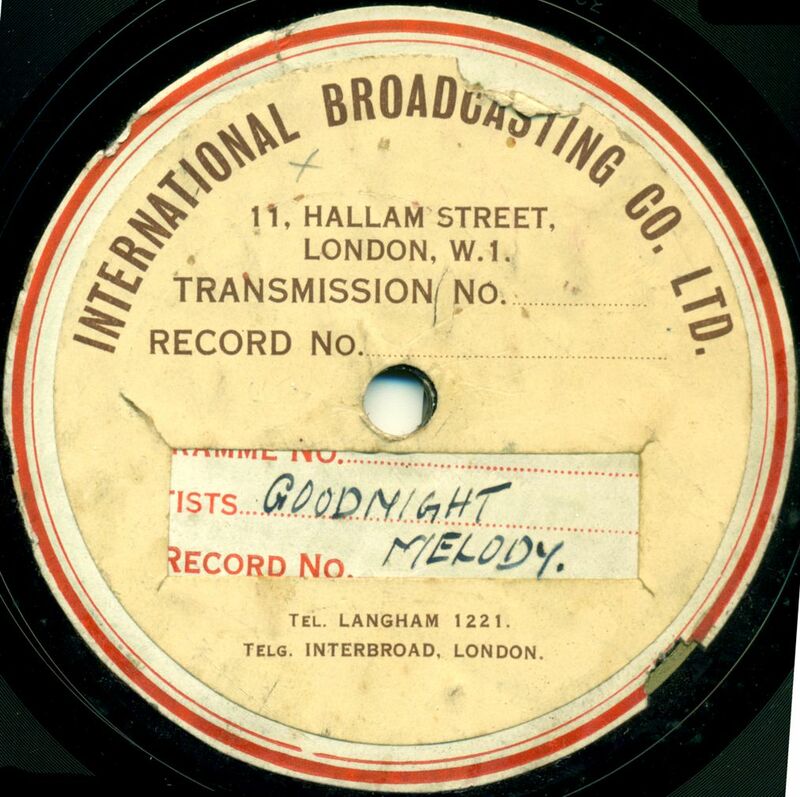 International Broadcasting Co (IBC) Thanks to Bill Dean-Myatt for providing the label photo. 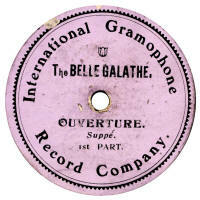 International Gramophone Record Company These extremely rare and rather bland-looking records were manufacture by Homophon(e) immediately prior to the outbreak of WWI. 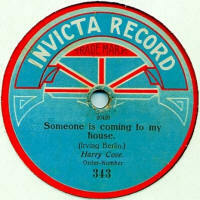 Invicta records first appeared in Autumn 1912. 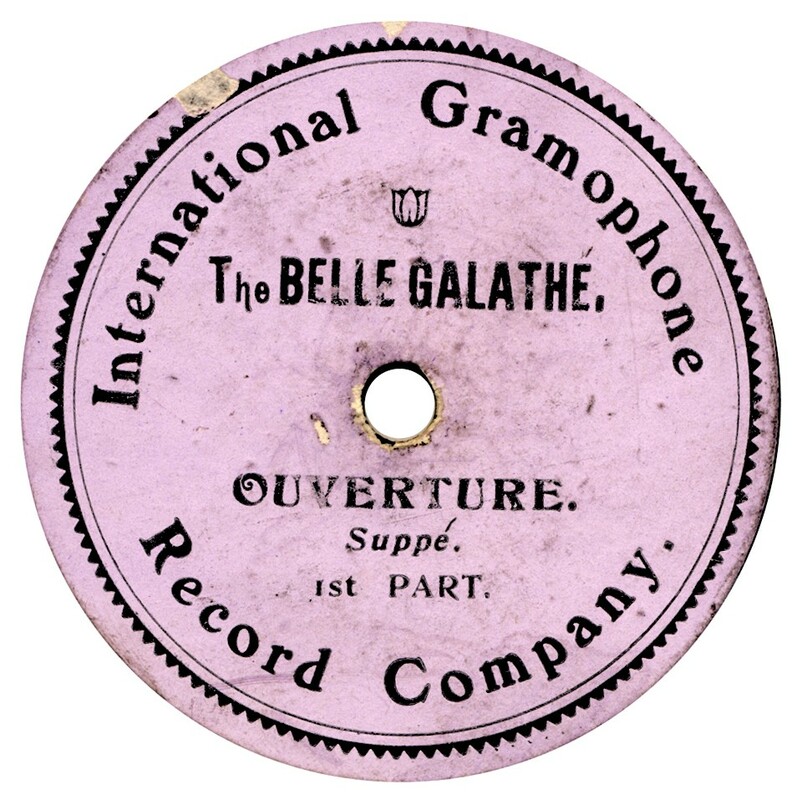 They were made in Germany by the Berolina Company and imported by William Barraud, who already had a lot of experience in the record industry. 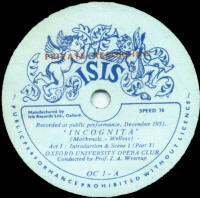 These Invicta records had a pale blue label with the label name in white and a red edge to the label (see first image). Most of the recordings were Berolina originals as far as I know, though some are reported to use Dacapo and Beka masters. Nearly a year later, there was a disagreement between Berolina and William Barraud about who owned the name “Invicta”. The result was that the German company refused to send any more records to Barraud after number 270, who therefore decided to set up his own recording studio and arranged to have his own Invicta records made in England by the Crystalate manufacturing Co. These British Invictas had a dark blue label with gold lettering (see second image). In order to keep suppling his customers, Barraud had to recreate the German catalogue quickly. 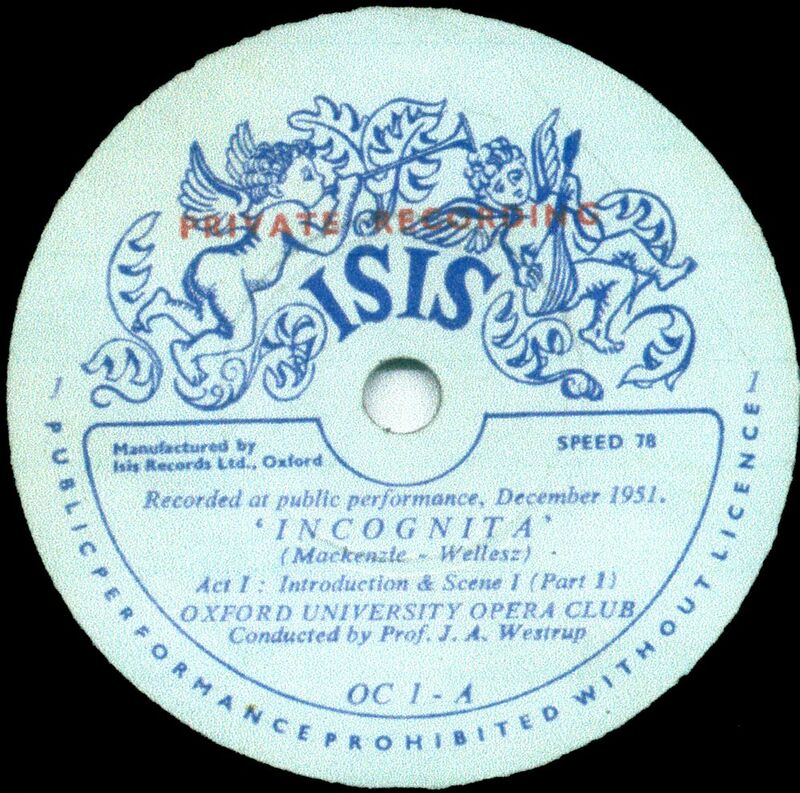 He started by selecting previously issued Invictas which were still selling and either pirating or re-recording them. These all have matrix (master) numbers in the 14000 series. Barraud also recorded new material (which matrix numbers starting at 100). Following a court order to stop him using the name “Invicta”, Barraud changed to a new label name, “Guardsman”, in May 1914, starting at No. 340. 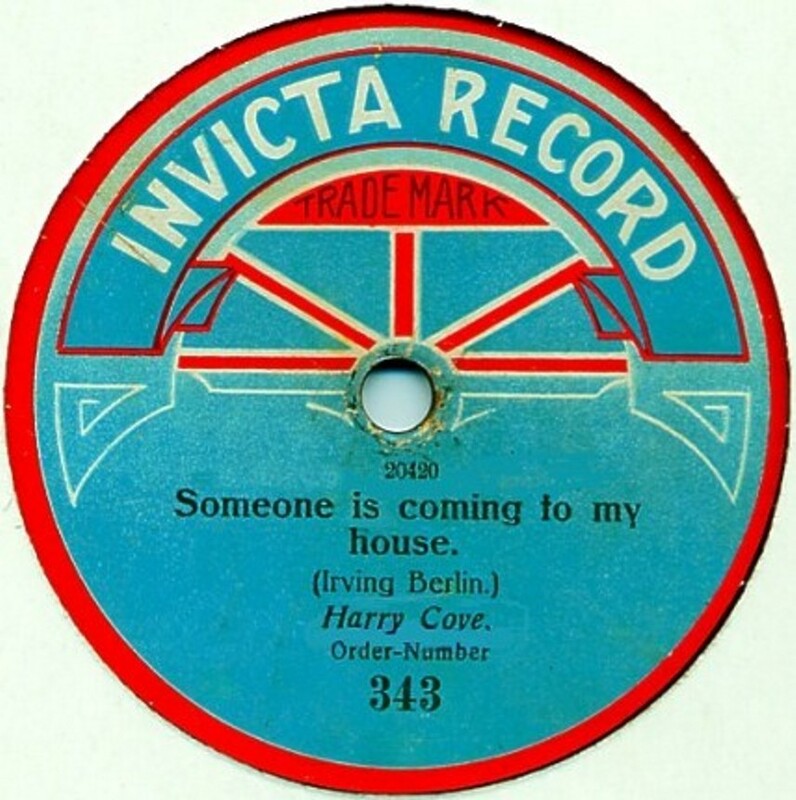 Just to make things more complicated, after the split between Berolina and Barraud, the German company switched to exporting Invicta records (with the same label design as before) to Britain using John Abrahams as their agent. This means that any "red white and blue" Invictas from 271 onwards are Abrahams ones and will be quite different musically to any dark blue ones with the same numbers. With the outbreak of WWI in August 1914, all German imports ceased and the Invicta label in Britain stopped, having reached about number 381. Isabel This style of label was produced in Germany in the pre-WWI era, with no printed label name, and so the seller could sell them as is, or, as can be seen here, can sell them under a name of their choice. The label was black with gold printing.